The architects at HCF and Associates in Singapore have used this residential project to implement a BIM-integrated design process. From conception to construction, BIM has not only proven to minimize time and resource consumption, it has also had a positive impact on the architects' thought process and productive mindset. The Center for Rhythmic Gymnastics project, by Moscow-based CPU Pride, won the “BIM 2016” Russian competition in the “BIM project: sports facilities” category. The project clearly demonstrates the successful use of the OPEN BIM approach in its design. “During the initial stage, we created a preliminary concept rather quickly, consisting of several completely different solutions, such as extraordinary forms, or a more geometric appearance maintaining a clear rhythm of the façade. We were able to develop the first 3D model in less than a month,” says chief architect of the Pride company, Elena Myznikova. The project is an excellent case study for the OPEN BIM approach. GRAPHISOFT is proud to announce that The Architectural Review and The Architects' Journal have named Sandra Barclay 2018's "Architect of the Year" for her work on Peru's Museo de Sitio de Paracas, designed by ARCHICAD client Barclay & Crousse. The museum was built on the ruins of its predecessor, which was destroyed by an earthquake in 2007. The judges lauded the building's simplicity and strength in a challenging context. "The architects responded to the lack of context with a design that is both robust and simple, yet powerful, and even its man-made imperfection adds value to the building." "Over the course of three decades, Andrew Patterson has forged a reputation as a confident designer of striking buildings with great presence. His practice's portfolio is replete with distinctive projects. Patterson buildings do not just assert their difference against the designs of the architect's peers; they are also highly differentiated from each other." ARCHICAD users will know him best as the visionary behind the ARCHICAD 20 signature building, the Len Lye Centre in New Plymouth, New Zealand. Congratulations to Andrew Patterson, for winning the New Zealand Institute of Architects Gold Medal! "While the typical approach is to treat BIM software as simply the latest means for documenting design, Japanese architecture firm Nikken Sekkei is channeling the latest capabilities of ARCHICAD — the dominant BIM software in Japan, as well as Central and Eastern Europe — to develop an entirely new design process." Learn how Nikken Sekkei uses a data-driven, tech-oriented approach to not only enhance the quality of their designs, but also to apply design thinking to architectural practice. GRAPHISOFT has released another user case study video, shot during the Key Client Conference in Kyoto earlier this year. This interview was conducted with Frank Hasling Pedersen, Architect, IT and BIM manager of Denmark-based Schønherr A/S, a landscape design firm. ARCHICAD 21's iconic signature building is Sydney University's new Charles Perkins Centre. The firm behind the Charles Perkins Centre, fjmt, is a multidisciplinary design studio and one of the region’s foremost and awarded architecture and urban design practices. Now owning 97 ARCHICAD licenses, fjmt was at the forefront of the industry in Australia, introducing desktop CAD and PDF workflows in the 1990s. A project the size of the Charles Perkins Centre comes with its own set of challenges and opportunities. GRAPHISOFT has wrapped up a successful Key Client Conference in Kyoto that was host to architecture's very best representatives from around the world. In addition to a number of practical presentations by GRAPHISOFT leaders, developers, and invited guests, clients were treated to a presentation by Johnathan Redman, Principal of FJMT (Australia), which designed ARCHICAD 21's signature building, the Charles Perkins Centre. 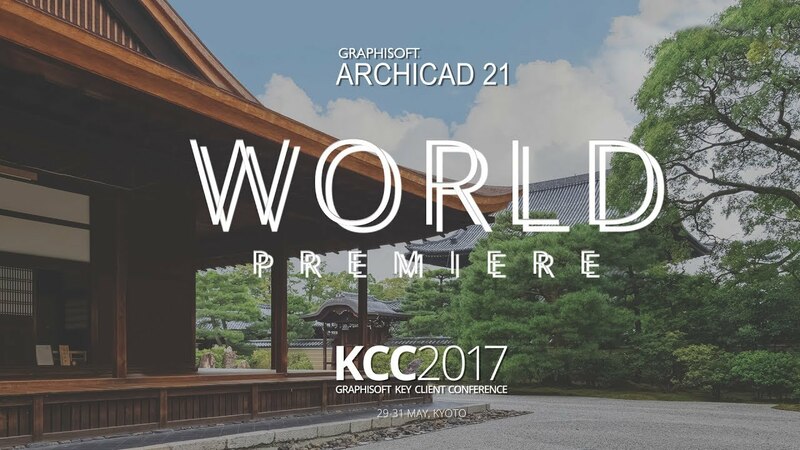 The nearly 300 participants were also on hand to witness the Worldwide Premiere of ARCHICAD 21 in a 1.5 hour presentation that is now available for viewing. Join us for a walk down memory lane as ARCHICAD guru Djordje Grujic looks back at his experience with ARCHICAD over the course of the past 20 years. "It is 20 years since October 1995, when my first review of the then current ArchiCAD 4.55 was published in the Računari magazine… Reading the article of 20 years ago about the same software that I still use and write about inevitably kicked off the comparisons: then and now, there and here… A lot has changed, but incredibly, what is the most important has stayed the same!" BUDAPEST, July 14, 2015 – GRAPHISOFT®, the leading Building Information Modeling (BIM) architectural software developer, is pleased to announce that GRAPHISOFT Brazil has inked a deal with Fernandes Arquitetos Associados (FAA), one of Brazil’s major architecture firms and the only Brazilian firm responsible for designing two 2014 World Cup arenas..
“Following one month of work by our BIM Manager, and a discussion of the results with the team, we concluded that ARCHICAD, in addition to having a price closer to our reality, was also much closer to everything we had always looked for in a BIM tool. With a very positive technical evaluation and competitive cost, it was relatively easy to make the decision to migrate to ARCHICAD,” Fernandes said.